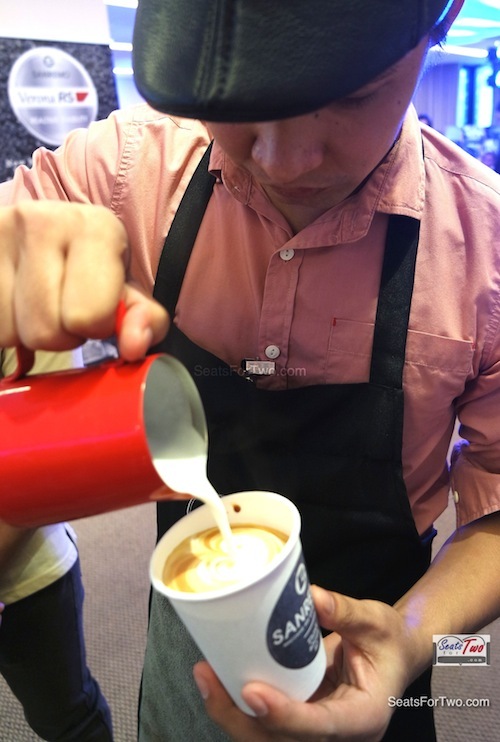 The third-wave coffee shops are slowly making its mark in the Philippine coffee industry. 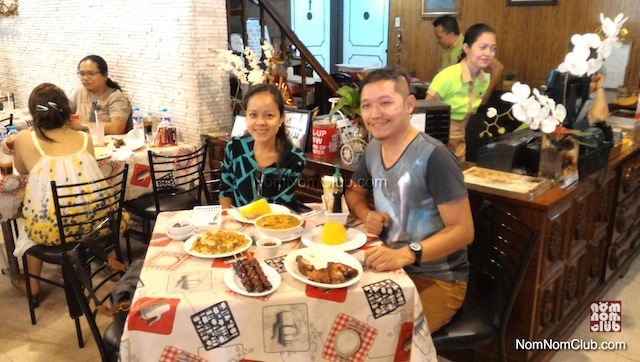 Some of which we have tried are Commune and Yardstick in Makati, and Craft soon in Estancia, Capitol Commons. Popular coffee shops like Starbucks are also making their move with the new Starbucks Reserve stores currently with 5 branches in the Philippines. 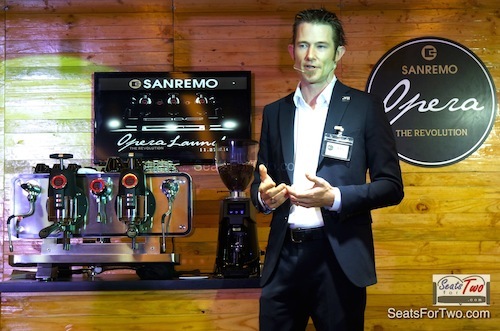 Sanremo, a leading global premium coffee machine manufacturer, recognises this trend and makes-sure to adopt with the times with advanced and new coffee machines. 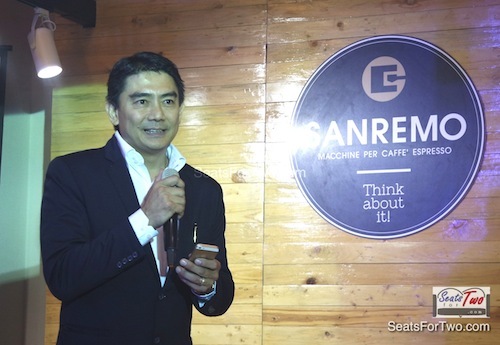 One such is the Sanremo Opera which they launched in the Philippines through Concept Specialists Inc. last month in Makati City. 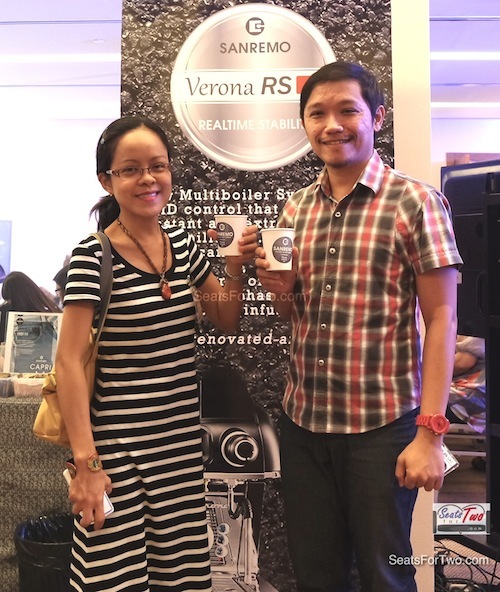 The launch was attended by the executives of Concept Specialists Inc. and Sanremo including Sanremo Australia Technical Manager Ben Stephens. 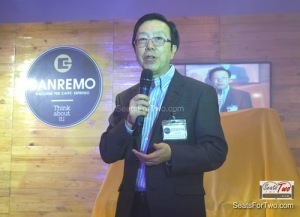 It was also where we met coffee connoisseur and speaker Robert Francisco. 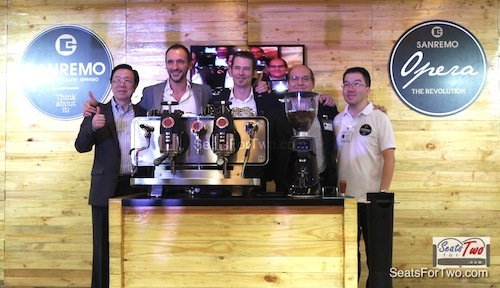 He explained the concept of third-wave coffee which refers to the current trend of producing high quality coffee, almost artisanal, from growing, harvesting, processing, and upto the relationship of coffee growers, traders, and roasters. 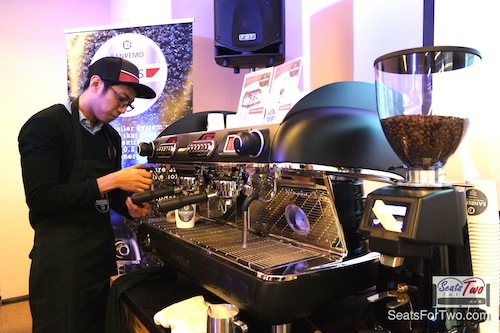 Add to that dynamics of micro-roasting and skilled brewing as well. Simply put, from the 1st wave‘s “coffee to consume“, and the 2nd wave‘s “coffee to enjoy“, the 3rd wave now offers “coffee to appreciate“. 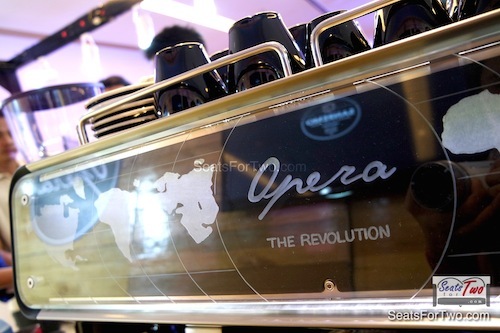 In a lot of ways, the Sanremo Opera is similarly innovative like the 3rd wave coffee trend. 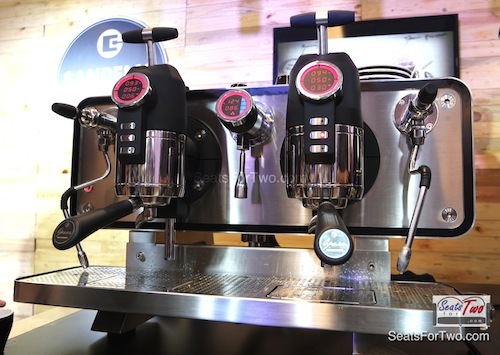 The Sanremo Opera is a professional coffee machine designed to customise coffee blends using advanced technology. It has three group heads at the center for huge volume orders and a steam boiler and a pre-heater on both sides for efficiency. As per process, coffee extraction is made precise through proper brew ratio helped by a voltage regulation gear pump regulating the flow of water. 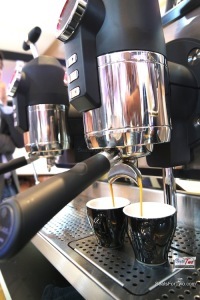 Aside from the visible digitised measurements, the coffee machine could also be controlled wirelessly from a smartphone or tablet mobile application. 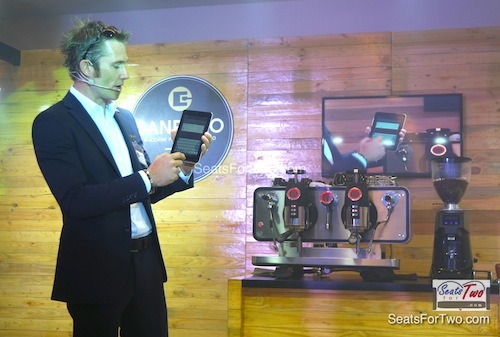 It’s really a leap from traditional espresso machines to smart machines complete with profiling capabilities. 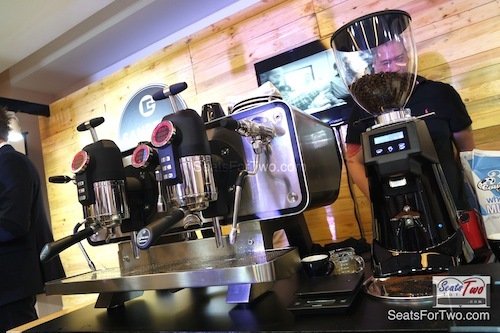 I think we’ll see more third-wave coffee shops rise in the Philippines moving forward. 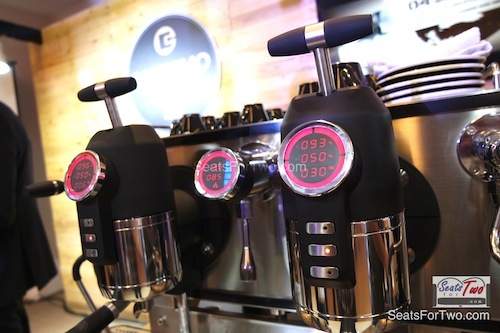 With hi-tech innovative coffee-makers and coffee machines such as the Sanremo Opera, this will not be too far down the road.